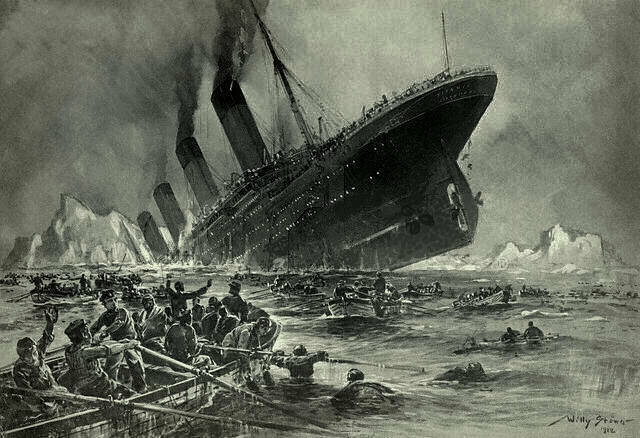 Today on April 14th 1912, the Titanic suddenly hits an iceberg at 11:40 p.m. while crossing the Atlantic Ocean on its maiden voyage. RMS Titanic was the second of three Olympic-class ocean liners commissioned by the White Star Line. 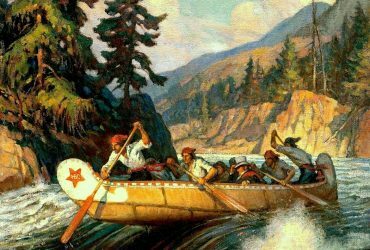 The ships were built by the Harland and Wolff Shipyard in Belfast, Ireland, and each took around three years to complete. RMS Olympic was the first ship delivered and the final one was HMHS Britannic. All three were designed to be the largest and most luxurious passenger ships in the world. The Titanic cost $7.5 million to construct which roughly equates to $200 million in today’s dollars. The ship had a number of on-board amenities including a gymnasium, swimming pool, libraries, high-class restaurants and opulent cabins. 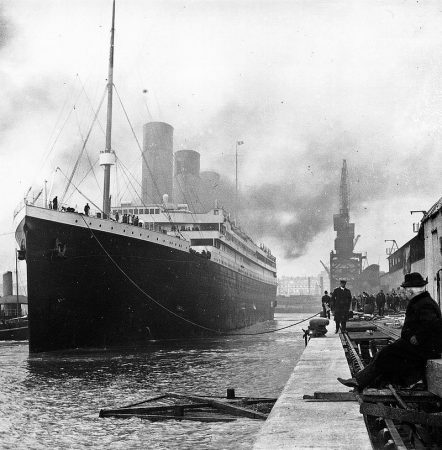 The Titanic and her 2,224 passengers and crew departed Southampton, England for New York City only five days earlier. Some of the world’s most wealthy people were aboard including hundreds of emigrants from Great Britain. 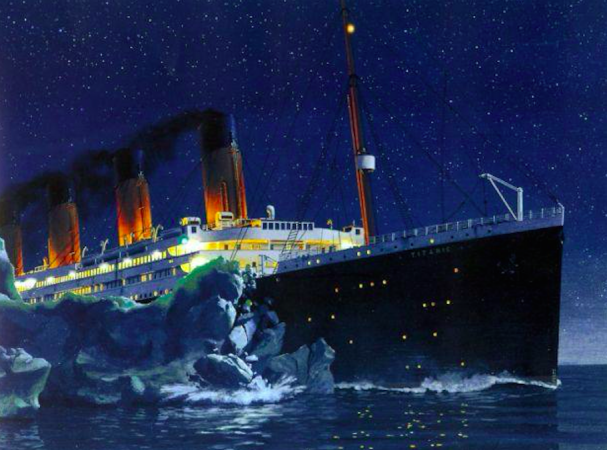 At 11:40 p.m. it suddenly hit an an iceberg about 375 miles south of Newfoundland. The collision caused the hull plates to buckle inwards along her starboard (right) side, which caused five of the 16 watertight compartments to flood - it could only withstand losing four. Less than 3 hours later the ship split into two and was completely submerged within minutes - over a thousand people were still aboard, including her architect and captain. The Titanic only carried twenty lifeboats which could accommodate around half of her passengers. This met the legal requirements at the time, but only 705 people survived the terrible wreck. Mass public outrage ensued after the disaster due to the lack of safety regulations. One of Titanic’s most important legacies was the establishment of the International Convention for the Safety of Life at Sea (SOLAS), which still governs maritime safety today. In addition, several improvements were made to wireless communications for faster emergency responses. In 1985, the wreck of the Titanic was finally discovered at a depth of almost 3,800 meters.